The Archives collects, maintains, and preserves the essential documentation of the activities, policies, and procedures of the National Academy of Sciences, National Academy of Engineering, and the National Academy of Medicine. Our holdings consist of several collections largely organized by offices, study units, and major units. 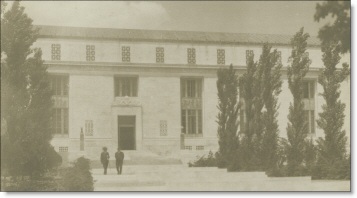 The main collection is made up of the Central Policy Files of the executive offices, and spans the institution's history from its founding in 1863 up through the present. The Archives also houses a small collection of photographs capturing events in the institution's history.